MTG94 Taiji Fa-jing Stick Vol 2. Home > All Titles 1 to 424 > MTG94 Taiji Fa-jing Stick Vol 2. 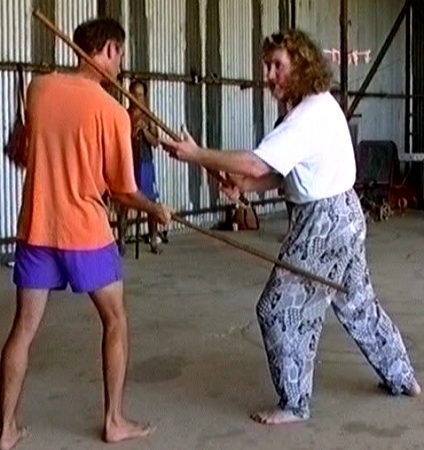 Shows the Taijiquan Short Stick Form up to the first kick. This for is one of the better weapons forms making use of an object that anyone can use. From this form came all of the other Taijiquan weapons forms such as sword. This is the advanced version and showing much more detail to MTG8. So many tiny 'internal movements' are shown.